Your new issue of SLOT magazine will be available on 10 December. One of the Workshop articles shows you how to use your old laptop or PC as a slot racing lap counter & timer, and we have added the plans and diagrams to the SLOT website for you to follow. 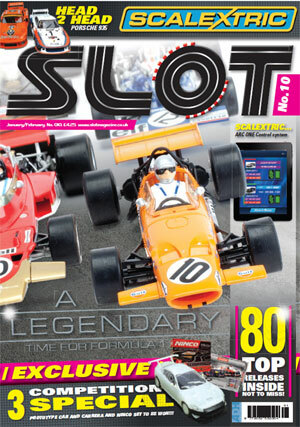 Also in SLOT # 10 – review of the new Scalextric ARC-ONE, racing in New Zealand, Porsche 935 goes Head-toHead, 24 Hours on HO scale, Digital racing in Holland on a replica Suzuka track, and much more.